Has your family recently made a decision to switch gears and begin homeschooling or use a new curriculum? Either way, embarking on a different educational path takes courage and faith, and it may take time to find your rhythm. Here are ten suggestions to ease the way. Different philosophy; different approach. Students who have been in school have likely become accustomed to an institutional approach where work is prescribed to the class as a whole and the teacher’s attention is divided among many students. Shifting to a creative thinking approach, and working one-to-one with a parent or other home teacher, can be challenging for a student who just spent last semester trying very hard to figure out how to succeed in an institutional setting. Switching gears to this degree is quite an adjustment and might bring stress or frustration. Be understanding and acknowledge those differences as needed. Commit to riding out the transition. There is a progression in learning as your child adjusts, but it may take a few weeks or more to be able to look back and clearly see the progression. Don’t expect to see results right away. Trust the process and really commit fully to seeing it through for six weeks or so before you assess whether it is working for your child. Learning really does take place, even if it might not feel that way in the moment, and a few weeks’ perspective can make all the difference in understanding. Go easy on yourself and your child. You’ve just left behind an educational environment or other style of learning that wasn’t working for some reason, and now you are transitioning to an entirely different approach. During this adjustment phase, don’t get too caught up in whether every single item was done properly in each lesson. What’s the main concept or what are the key skills being addressed? What is most important for your child to grasp before moving on to the next lesson? Make that your focus, and give everyone points for effort as you navigate this new way of learning. Students beginning mid-year may need to go back to previous lessons if they aren’t understanding something in the current lesson. Consider downshifting or deschooling. Your child might need to ease into the new model slowly, and some children, particularly those who experienced trauma in their previous school experience, will benefit from a period of “deschooling.” This can be like an extended vacation from school, with plenty of nourishing rest, time to daydream, healthy activities of the child’s choosing, and supported emotional processing. It can be very helpful for some students to have a buffer like this between leaving their old school and beginning homeschooling. Often they will let you know when they are ready to jump back in again. Keep good boundaries with those in your life who resist the idea of homeschooling. Even well-meaning loved ones can undermine confidence by demanding evidence or reassurance that your new educational plan is “working.” It is fine to say things are going well without elaborating. Let your child know that you will be keeping his or her educational details private. This allows your child to relax and focus on learning without worrying about what the relatives or neighbors might be thinking. Structure and support are key. Set up a solid daily and weekly routine as a starting point. You may need to adjust it many times, but begin with a strong plan. It is easy to get sidetracked, so do your best to stick to the plan. Set aside focused time each day for academic work. Find a good place to work with your child where you can both be comfortable. If you are feeling overwhelmed, consider consulting with one of Oak Meadow’s experienced teachers, using a tutor, or asking an experienced friend for help. Be resourceful and independent. Reach out to others. Make friends with your local librarian; it’s a great way to find out what resources are available and connect with other homeschooling families or groups in the area. Explore online resources. 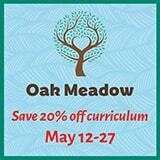 Oak Meadow’s social media offerings are a good place to start. Our Pinterest boards offer many inspiring hands-on ideas, and Facebook is a great place to connect with other homeschooling parents and find validation for this journey. 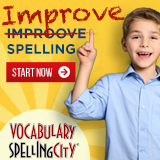 There are many online groups for homeschooling parents. Seek support from like-minded people wherever you find it. Go outside! Oak Meadow encourages families to learn out in the world. This means spending plenty of time outside in nature and interacting with others in your local neighborhood or community. Fresh air and the soothing sights and sounds of nature are a good antidote for stress of any kind, including the positive stress of the important transition from school to homeschool. Schools tend to be very social places, and you will want to be mindful of how your child’s needs for social interaction are met while homeschooling. You might find this benefits you as well as your child. Be patient. It takes time to settle in. It will be a little while before you get your bearings and find a good rhythm for your homeschooling days and weeks. Don’t panic! It’s okay if things aren’t perfect. There is a lot to be learned from trial and error. Have fun with the process! You Decided to Start Homeschooling. Now What? « Can You Thrive And Not Just Survive February Homeschooling? Yes!